The HiFiBerry Amp+ will be mounted on top of the Raspberry Pi. The Raspberry Pi will be powered by the Amp. It is not allowed to connect 5V to the Micro-USB port of the Raspberry Pi. 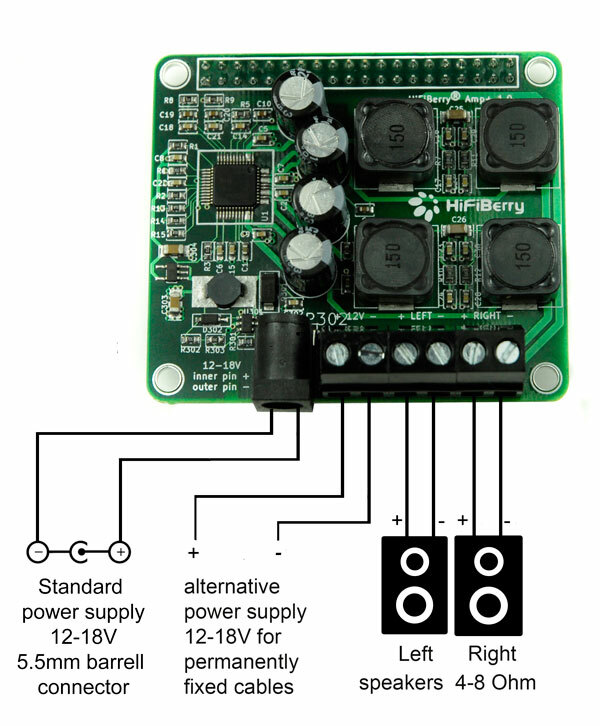 Power supply is only one external 12-18V power supply that will be connected directly to the HiFiBerry Amp. Check out the connection diagram below.